Oily skin is both a blessing and a curse. On the positive side, it helps keep your skin smooth and looking young for years. While on the negative side, oily skin makes you look shiny and greasy, causes breakouts, can enlarge your pores, and quickly ruin your makeup. Genetics: If your parents have oily skin chances are you’ll inherit it. Hormones: Pregnancy, puberty, and stress can cause hormone imbalances that contribute to oil production. Diet: Having an unhealthy diet that is full of foods high in fats, salt, sugar, and caffeine can cause your skin to produce oil. Skincare and makeup products: Using products on your face that irritate your skin, or even dry it out can cause your oil glands to go into overdrive and produce excess oil. I’ve been battling with oily skin for years, trying to find ways to make it less noticeable and work around it. From using a combination of various products and routines I’ve found mud or clay-based facial masks to be a great way to minimize the amount of oil my skin produces. 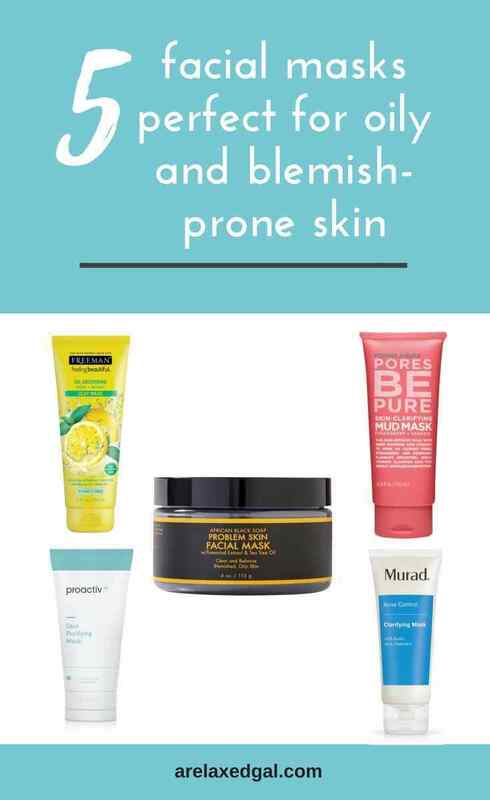 Here are five mud or clay-based facial masks that are helpful for those of us with oily skin. When I started having issues with excess oil, extra enlarged pores, and pimple breakouts I decided I needed to focus on making sure my pores stayed clear. 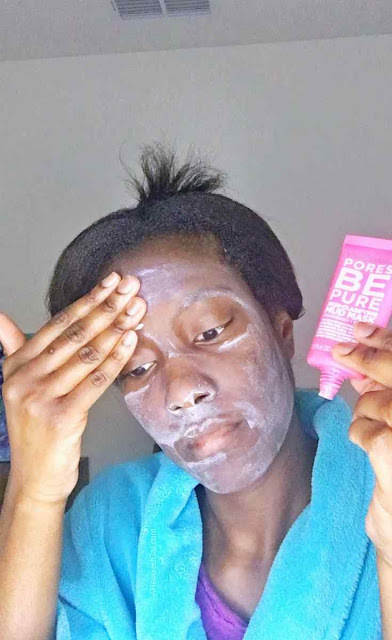 So I went on a search for skincare products that did just that and this mud mask from Pores Be Pure seemed to fit the bill. It claims it’s full of berry boosters that help with eliminating impurities and unclogging pores. This mask, made with natural and certified organic ingredients, helps to absorb excess oil. It also removes impurities from the pores and addresses acne problems. This one is a sulfur mask and because it’s from Proactiv its key focus is clearing up acne and preventing new breakouts. It also helps with absorbing any excess oil all and shrinking pores without drying out the skin. If you’re looking for a mask without sulfates or this one is a good option. I used this mask back when I was having adult acne issues. This is a clay-based mask that helps to clear up acne and keep the skin clear. It also absorbs dirt and oil to reduce facial shine. I’m a fan of the Feeling Beautiful Dead Sea Minerals Facial Anti-Stress Mask and this one sounds amazing for oily skin. It claims to minimize shine and large pores by absorbing oils while also providing relief from inflammation caused by breakouts. Before using any face mask, I always test it out on a small patch of skin to make sure it doesn’t have a negative effect and end up irritating my skin. Do you have any face masks you recommend for oily skin? If so, share in the comments below.